What’s the New Fairy Tale? We are all on this journey, and we know how it ends. Let’s make it a joyful journey, a meaningful one. When you are going on a trip, you plan for it; you pack, get directions, make reservations. What about life? Are you really on the journey you want to take? 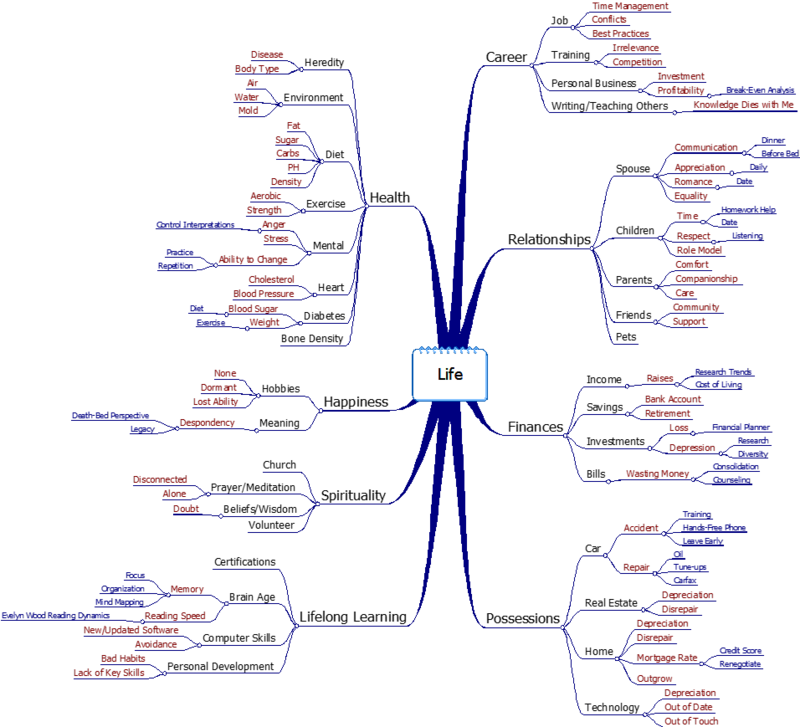 To make the journey through life effectively, you’ll need maps—mind maps. Make a map of your priorities, and base future life decisions on your map. Break down goals or dreams or projects you have planned that require multiple steps using the same mapping technique. When you find yourself staring into space because you need to write, speak, or organize your thoughts for some purpose—or when you are just worrying—map your thoughts to get them out of your head. Mind mapping is a good technique for taking notes, and in the process you will soon find yourself organizing your thoughts into mental maps, so you can remember and use them. This mapping technique is used to generate, visualize, structure, and classify ideas, and as an aid in studying, organizing, problem solving, and making decisions. Mapping results in better information retention than by using traditional ‘linear’ thinking and note taking methods.The next section will take you through a series of exercises and instructions to get you started on the road to becoming a master mapper—and achiever. So much to do and so little time. Without a plan, we tend to do what comes up, which often means we do what others impose on us. Is that what it’s all about, letting life live us? What are you really all about? Because we can’t do everything and prioritization is the key. Before prioritizing our tasks, we need to identify our priorities in life. Our priorities come from our values. Our values make up who we are. Our integrity comes from living up to who we are. Are there areas of your life where you are not really putting your time or energy into what you say is important? Are you being true to your integrity? When we live in disharmony with our values, this dissonance causes stress, even illness. Many people say they want to attain life balance, but what do they want to balance? If the answer is work and home, rethink. Is it reasonable to have only these two facets in life? What if something happens at work or in your home life, what’s left? What constitutes the “life” aspect of you? On a piece of paper, make a small circle and write the word “life” inside the circle. Take about two minutes to brainstorm your life priorities. A good way to figure these out is to ask yourself questions like, “What’s most important to me in the world?” or “What are the main areas of my life?” Popular entries include family, career, health, spirituality, friends, wealth, self, fun, giving back, hobbies, travel, and home. Draw “spokes” off the circle and write the priorities at the end of the lines. Please avoid making it linear, keep it looking like a child’s picture of the sun. The reason for this format is explained later. It takes about two minutes, so do it now. Congratulations, what you have now is at least a partial list of your values—the basis of priorities. Only by beginning with what is most important to you can you live life on your terms, what life Naturopath Dr. Rick Brinkman calls a Life by Design. Integrity means being who you say you are, so you still need to do two things: systematically take action in each priority area, and set and protect boundaries. Branch goals off each of the values—things you would like to accomplish in each of the areas. Stay with the spokes off of a circle technique. This process is called mind mapping, clustering, or spider webbing. You may have been fortunate enough to have a teacher introduce it to you for planning something like a writing project. The reason for this technique is multifold. First, brainstorming from a circle makes you think outward, while lists lead to thinking downward. The circle expands your thinking, listing narrows it. The mental process is quite different; lists are linear while maps are random access. With a list, you tend to look only at the last entry before adding the next one, so it is easy to go off on a tangent. A map has the main idea or goal in the middle, so you keep focus. Also, maps have no priority order; you can organize after you get all the ideas written down. Each word/image must be alone and sitting on its own line. Repeat the map and master exercise for work. Write “work” in the middle of the circle, and with spokes around it, identify your job priorities. Off of those priorities, branch goals for each area. Doing this will get you started managing many priorities at once, instead of just doing the ones that are the most obvious. In math class, we needed a scratch sheet to figure out complicated problems. In life, when we need to compile, organize, and present complicated ideas and actions, we also need a scratch sheet. The brain can only hold onto seven plus or minus two things at a time. 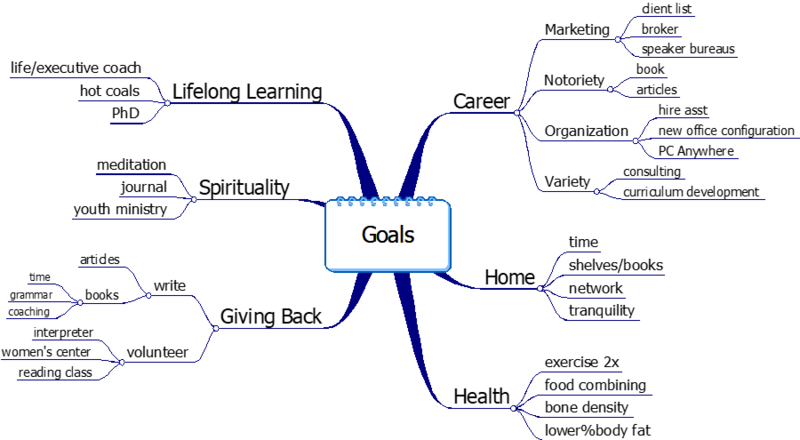 To get things done, mind maps are the perfect multi-purpose tool. After all, where is it easier to organize your thoughts, inside your head (where you can’t see them) or on a sheet of paper sitting in front of you? Try using mind maps as scratch sheets for anything you need to organize. Here are some thoughts on how to apply mind mapping to four common areas of our lives: thinking, writing, note taking, and project management. Remember, it’s okay if it looks like a mess. It’s a scratch sheet. Every time you catch yourself staring into space, you are probably trying to organize multiple thoughts in your head, so start a map. In the middle of the circle, identify the thought process—worry, idea, anger, etc. or the object of thought—person’s name, event, “shopping list,” etc. (or leave the circle blank). Randomly dump out every thought as fast as you can; don’t stop to think, just write. Step back and look for solutions, patterns, and things you could subgroup together. Cluster like things by color coding, numbering, or (if you have mind mapping software) dragging. Do you ever have to give a presentation, write a document, or initiate a difficult conversation? Do you ever get nervous or have writer’s block? Mind map your way out of it. Put the topic in the middle of your mind map and brainstorm the main things you have to say or write. Branch off the main topics what you need to say under each of those, then branch off of the subtopics until you have reached the desired level of detail. You map will already be somewhat organized, but consider adding numbers, crossing off unnecessary items, and moving items to subgroups as necessary. This is your outline. Working from this outline, you can put your speech, document, or conversation together quickly and painlessly. When a customer, boss, or colleague gives you instructions, is the conversation organized? How long does it take to put these sentences into some kind of action plan? What if you mapped it? Write the name, date, and topic in the middle, then branch according to broad topic. As the speaker skips around, add branches to the applicable topic. For meetings try putting a slash across the middle of the page with the meeting date and topic on it. Starting at the bottom, yes the bottom, write the agenda items in branches off of the slash. As the meeting progresses, add subtopics to the main slashes and more subtopics off of those according to where each comment fits. You can color code or put who said what as well. I learned this technique from the famous Evelyn Wood Reading Dynamics speed-reading program where it is called a slash recall pattern. At the end of the meeting you can recall who said what without looking. This is because we used key words, not full sentences (your brain says “I’d better remember what these key words mean”) and because a mind map is visual. Look at the map you made earlier, then look upward. Can you picture the map in your mind’s eye? With a little practice, you can “see” the words you wrote on the map and recall all the information. Teach this to anyone in your life who has to study for tests. Can you see how mind mapping could be the best way to do this? Take any goal, dream, or project you have not yet accomplished and write it in a circle, then think, “What steps do I need to take to achieve the goal.” Branch the main steps off of the center, then break the large pieces down, breaking the large sub-tasks down—continuing until the last layer of every branch is a task. How do you know you’ve reached a task? You know exactly what to do—you have no questions. For example, ff you wanted to write a book and started mapping out the steps but got stuck, that would indicate that you probably don’t know what to do next. In that case, write, “How” (short, keyword entry for “find out how”) on the map, then branch off the ways to research what to do. Perhaps you would come up with, “book,” “group,” and “Internet” as entries (short, keyword entries for “find a book,” “join a group,” and “search the Internet”) Going to a bookstore to get a book on how to write a book is a task. As a side note, what is a task to one person may be a project to another. I could search the Internet and it would be a task, but if I asked my mother to do it, I would have to explain some steps. Keep this in mind when you give someone a work assignment. If you have been doing the job for a long time, you might not remember that there are steps in the process that must be broken down for someone less experienced. Once the project has been broken down, it’s easier to decide in what order to perform the tasks, what can be done simultaneously, and what resources you’ll need. Without the map, we just start . . . and stop . . . and realize while we are doing it what the steps are. Rather than work on a project with the steps hidden, get them out and get organized. So far, we have been mapping. Maps are a great way to conceptualize, strategize, and organize thoughts and information, however, they are not the best format for reviewing the information. Once you’ve mapped a project, it makes sense to convert project breakdowns into to-do lists, Gantt charts, and presentations. You could take the outermost tasks from each branch and enter them manually into your to do lists. However, mind mapping software can almost instantly convert maps into word outlines, task reminders, Gantt charts, and slide presentations . Keeping things in your head is inefficient. Why? Think about it—or rather—write about it. How many times have you thought something through, only to go back to the idea or solution and find the thought is no longer there? If you don’t ink it when you think it, you can’t use it. Do you ever feel overwhelmed or lack focus? Imagine opening every program you have in Windows when you turn on the computer. You would run slowly and sluggishly and might crash. It is the same when you try to keep everything in your head. You’ll forget it, be overloaded by it, stress out over it, or keep someone else from getting to it. How many interruptions are caused by people trying to get at things that can only be found in your head? “What do I need to do today?” If she wrote it down right then, it might take five to ten minutes, but she doesn’t. When she finishes the first task, if she had written her list she could have crossed the first task off and quickly moved to the next (and doesn’t it feel good to cross something off a to-do list). Not having written it down, however, she now has to think again, “What next?” So it goes between each task. By the end of the day, the person who did not write the tasks down spends a lot more time on the unwritten list than would ever have been spent writing it once. My suggestion is for you to create a master to-do list. Write down everything that comes to mind in chaotic order and then cross off the “junk.” As soon as an item gets a deadline, cross it off and move it to a calendar. Things due today go on today’s to-do list—this is what you work from. Keep an ideas sheet (some day maybe . . . it would be nice if . . .) where you can keep track of books, movies, restaurants, places, and things you would like to look into. Work with a mobile list to allow you to finish one thing before starting another. Write delegated tasks on an assignment sheet. At this point people ask, “How many lists do you expect me to have?” My answer is . . . one. Consider having only today’s to-do list and having only the amount of work you can do today on it. While you’re working on today’s list, you will discover projects or tasks due in the future. Write those on future daily lists and get back to today’s list. When you become distracted by things that have no deadline or that you don’t know what to do with, write them on the master list—this is all to help you keep focused on today’s list. In the choice between keeping work and personal life on the same list and separating them, consider whether you will pay attention to the personal list at all or get carried away on the work. 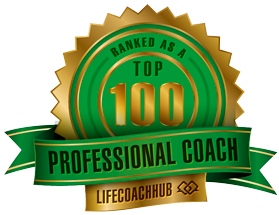 Might it be that having something from your personal life on the list motivates you to work more effectively? To recap, write to-dos that have a deadline on your calendar and dump everything else on a master list. Break large projects (those with more than ten-steps) down using mind maps. Working backward from the deadline, decide what tasks need to be done month by month, week by week, and day by day to accomplish the project. Put these tasks on the daily lists with color coding. So far, we are better off because our thoughts are organized and out of our heads, and we have only tasks on our list—is there anything else we need to do to tweak our time-management regime? Dr. Stephen Covey in his bestselling book, The 7 Habits of Highly Effective People, suggested a popular way to prioritize is to use a priority matrix. This matrix asks you to assess your tasks according to importance and urgency. Life prompts us to do things that are urgent. If it is urgent, it taps you on the back and tells you to do it. The tendency, then, is to operate in crisis mode, doing the things that are both important and urgent. Can you think of some things that it would be important to do, but they have no deadlines? These important things are what would get us ahead of the game, yet most of us tend to only do the urgent. And when we wait for things to become urgent, they often elevate to crises. Crisis always costs more. If I pay my bills late, there’s a late fee. If I do a job at the last minute, quality suffers. You can change the oil in your car now or change the engine later. When we wait until our health or our relationships are in crisis, sometimes the damage can’t even be repaired. My grandfather continually asked my mother when she was going to have a granddaughter. He died of a heart attack eight months before I was born. My father’s older brother died of a heart attack at the age of forty-seven, and my father at fifty-six also died of a heart attack. If I go on the way we humans tend to, waiting until my health becomes urgent before I do anything about it, I might be next in line. Instead, I choose to proactively take care of my health while it is still not urgent. On your deathbed, when you look back at your life, what will you wish you had done? Here I am on my deathbed, and I never took that trip to Europe. Here I am on my deathbed, and I’m not sure the people I care about realize how much they have meant to me. Here I am on my deathbed, and all those pictures are still in the box because I never scrapbooked them, so those memories will die with me . . .
Make the journey meaningful. Live life and don’t let life live you. Now it’s back to mind mapping. Start like before with the word “life” in the middle of a circle. Around the circle map all the major aspects of your life: health, relationships, possessions, finances, work, growth, and happiness. Break each broad category into tangible units: Relationships with whom? What possessions? Once you have a concrete map of the important areas, items, and aspects of your life, branch off the next layer in a different color. This layer is where you brainstorm what could go wrong in each of these areas. What could go wrong at work, with your house or your car? What could happen with your health or finances or relationships? What could thwart your growth or happiness? The last layer out, also in a different color, is where you map out what you could do to avoid the bad thing happening in each area. Diet and exercise choices (get specific) that could preserve health and avoid things like diabetes and cardiovascular disease, failsafe measures to shore up finances, preventive maintenance on possessions, quality time in relationships. Just making the map will get you into a more proactive mindset, but I recommend you look it over and prioritize potential problems in the order they are likely to happen. Do something every month from your map to avert crisis and take control. When embarking on a journey, it makes sense to know how much time we have for the journey by figuring out our plannable hours. A map will let us plan our way instead of wandering aimlessly. Prioritization is our compass. Know and be who you are by mapping according to your values. Stay focused by making scratch sheets of thoughts, ideas, and projects. Stay efficient by writing everything down. Life is a journey; we all know how it ends. Don’t let bad things happen to you.